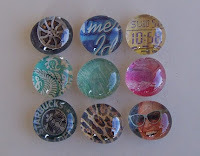 MULRYJEWELS: Seen and Heard: 2nd GIVEAWAY! 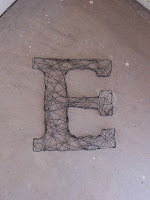 She is going to give away on My blog an 8 inch wire monogram in the letter and color of your choice. Leave one comment per entry (up to 4 entries per person)so I know you did it. 1. Visit her shop and tell me what your favorite item is. 2. Follow her blog and leave her some comment love. 3. Purchase something from her shop. The winner will be randomly drawn on Sunday, September 14th! Only 2 weeks away. Thanks and good luck to all. She has a lovely shop! This is my fav item!! 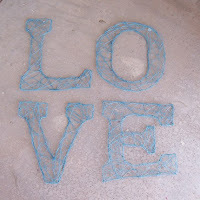 I love the Wire Letter Set- LOVE from her shop. I think my favorite thing is the wire letters! 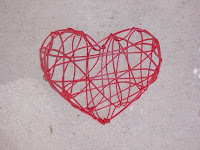 they would be an adorable way of displaying the name of my expecting child, due this Dec.
i also follow her blog now! Keep it comin'! Less than 3 days left!